Reichenberger grew up in Vienna, where he graduated at the Theresianum in 1971. He studied accounting and finance at the University of St. Gallen, Switzerland and at the Vienna University of Economics and Business Administration. While studying, he completed internships at the Austrian Foreign Trade Centers in Moscow and Lisbon. From 1977, he worked for nearly 30 years with the Swiss food company Nestlé, in various functions and management roles in Europe, North and South America, Asia and Oceania. Most recently, he served as Chief Financial Officer and Executive Vice President at Nestlé Headquarters in Vevey, Switzerland from 2001 to 2006. Under his oversight, mergers took place with companies and acquisitions of brands, as well as the first share buybacks. While working for Nestlé, he was chairman and board member of several company committees. Reichenberger was a member of the six-member supervisory board of the Swiss stock exchange for more than four years, as well as founder and chairman of the CFO Task Force of the ERT (European Roundtable of Industrialists) and member of the Alumni Advisory Board of the University of St. Gallen. In 2006, he co-founded Inventages Wealth Management Inc., a venture capital fund specializing in healthy nutrition, based in Nassau, Bahamas. He is his general partner. Since October 2017 he is Honorary Consul of Austria for the Bahamas, responsible for the Consulate Nassau. Reichenberger is married to the Swiss-Brazilian pediatrician Monica Estermann (1956 in Chiclayo, Peru) and has 2 sons and 2 daughters. As pilot and a member of the Bahamas Search and Rescue Association, he flew several disaster relief operations in the Bahamas and Haiti. 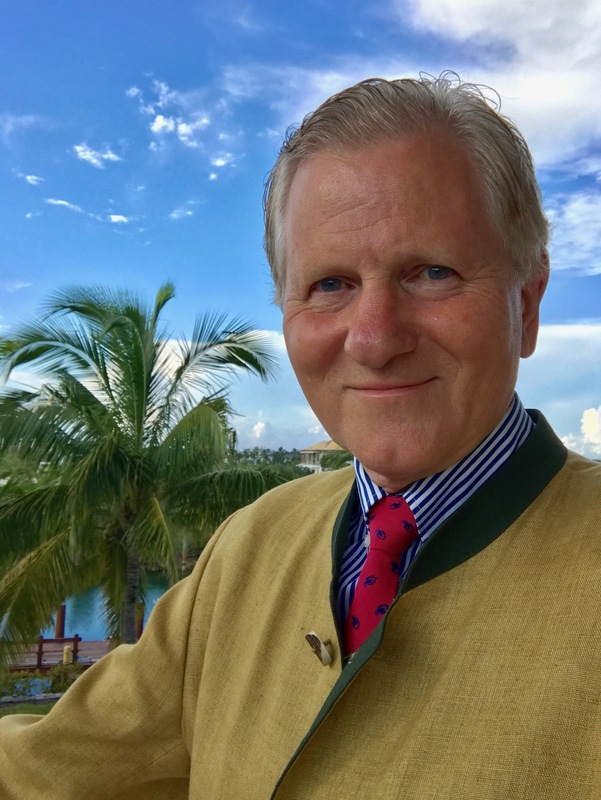 Wolfgang Reichenberger lives with his wife in Nassau / Bahamas. His grandfather was the conductor and composer Hugo Reichenberger (1873-1938). Disclaimer | © Copyright this this and that. Add more here.